All good things come to an end. A proverb of glorious filler to any article! 🙂 Dropped into conversation to make the speaker sound insightful and connected. A bumper guard which comes out on auto-pilot while trying to think up something more cogent. Today it refers to a hardware store up the street, nearly within wrist-rocket range. A 5 minute uphill huff on bicycle. Clyde’s Home Supplies is closing. While Sam Clyde doesn’t look it, he is 72, and feels every year. I’m gently informed He may not look as old as he is as you’re gotten older? Hmmmmm .. ciphering that one out, I think she is saying I’m getting older. With his Ace Hardware store now offering 60% off, we’re stocking up. Lots of plumbing and electrical fittings, sheets of sand paper. 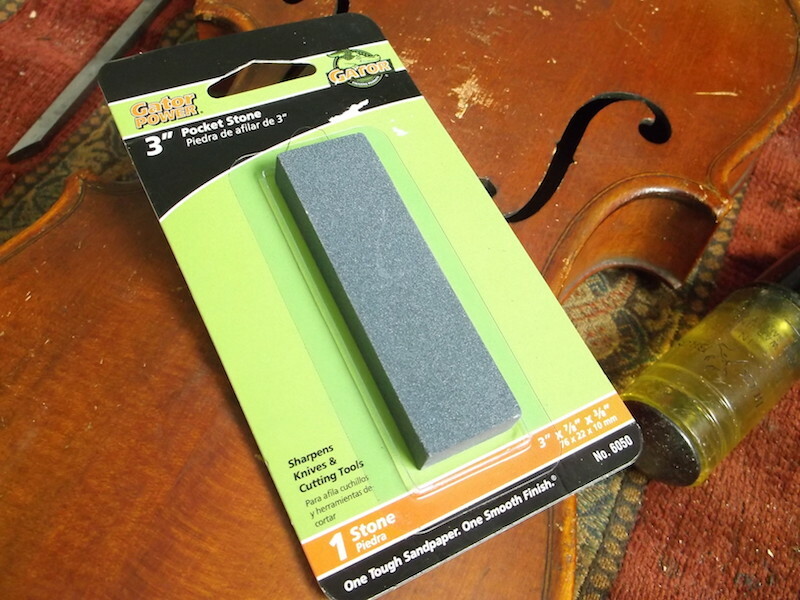 And there, on a high shelf, the last sharpening stone they have. Gator Finishing. 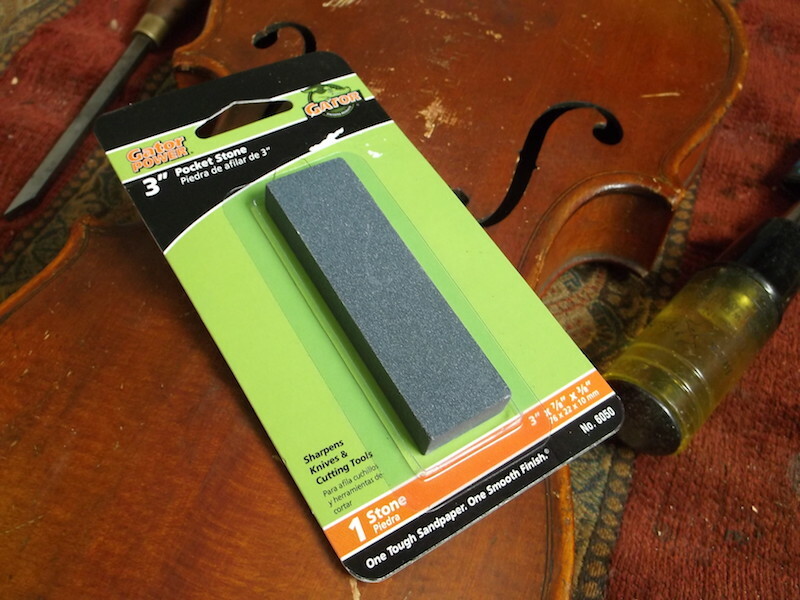 The same brand as the black oxide sandpaper I use. Calling me. It’s finally time to learn how to put an edge on my knife. With a few old blades handy for ruination, I cannot do too much damage with such a small stone. What I think will happen? I’ll correct the edge on a chisel a few times, then go speak with the old guy from southern Italy. More properly, I’ll stand mute, and catch every other word of his barrage. Then invest in a larger stone. Big things have small beginnings. This entry was posted in Product Review and tagged Ali Industries Fairborn OH, gator finishing.